October 30, 2017 – WRSI – Witchcraft’s Hidden Hartford History. 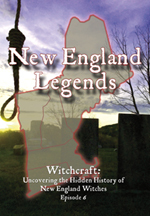 October 27, 2017 – Bennington Banner – Pownal witch trial highlighted in ‘Legends’. October 25, 2017 – MASSLive – WGBY to spotlight witch trials beyond Salem. July 7, 2017 – The Berkshire Eagle – Now streaming… ‘New England Legends’. October 26, 2016 – MASSLive – WGBY/57 airing new episode of ‘New England Legends’ on Thursday. October 25, 2016 – WRSI – Eccentrics & Mad Scientists of New England. 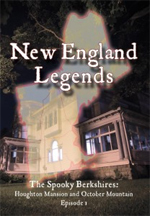 October 27, 2015 – WRSI – New England Legends: Ghost Stories From Right in Our Backyard. October 29, 2014 – Providence Journal – Haunted happenings come to R.I. PBS. October 29, 2014 – Berkshire Eagle – County Fare: Spooky shows, BerkShares and rock ‘n’ roll. October 25, 2014 – Fall River Herald News – Maritime haunts focus of documentary on PBS. 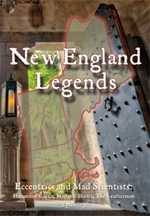 October 25, 2014 – WBSM – Jeff Belanger Discusses Fort Taber and Other New England Legends. 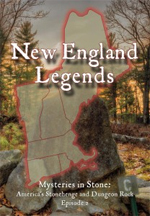 October 24, 2014 – MassLive.com – WGBY/57 returns with ‘New England Legends’ in time for Halloween. 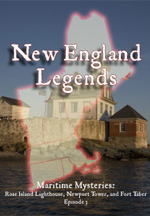 October 21, 2014 – Ghostvillage.com – Emmy-Nominated New England Legends Series Debuts on Rhode Island PBS with “Maritime Mysteries”. April 30, 2014 – The Berkshire Eagle – County Fare: Berkshires has key roles in TV shows. April 23, 2014 – The National Academy of Television Arts and Sciences – Boston/New England – New England Legends is nominated for an Emmy Award for “Magazine Program/Special”. October 30, 2013 – North Adams Transcript – PBS to air new show featuring ‘Spooky Berkshires’ on Halloween. October 30, 2013 – The Berkshire Eagle – PBS show looks at spooky Berkshires. 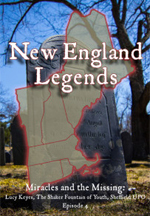 October 30, 2013 – The Valley Advocate – Living Legends of the Dead: Paranormal journalist Jeff Belanger’s New England Legends premiers on PBS Springfield. October 30, 2013 – iBerkshires.com – ‘Spooky Berkshires’ TV Show Features Local Sites.